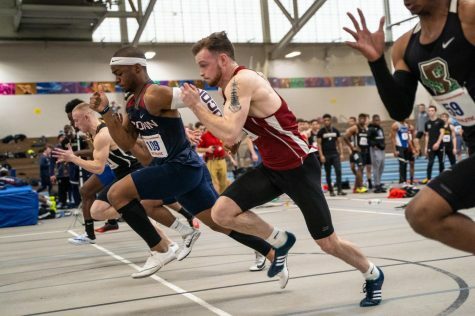 Massachusetts began its 2012 indoor track and field campaign over winter break, taking part in the Sorlien Invitational. At the end of the weekend, both the men’s and women’s team recorded first-place finishers and championship qualifiers. On the men’s side, senior Zachary Koncki was a top performer. The Northampton native and returning Atlantic 10 indoor long jump champion posted a mark of 23-1.75. His jump was good enough to capture second place, as well as a spot at both the New England and IC4A championships. Koncki also ran 8.39 in the 60-meter hurdle trials, the second fastest trial mark. 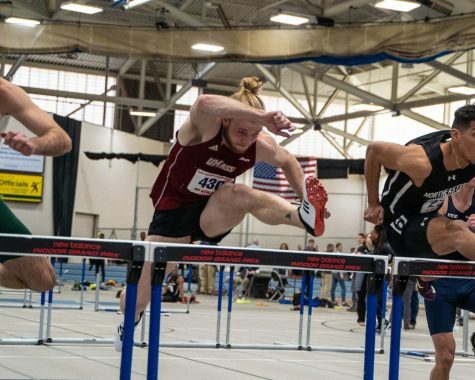 The Minutemen, along with Koncki, who did not compete in the finals, had four finalists in the 60-meter hurdle. 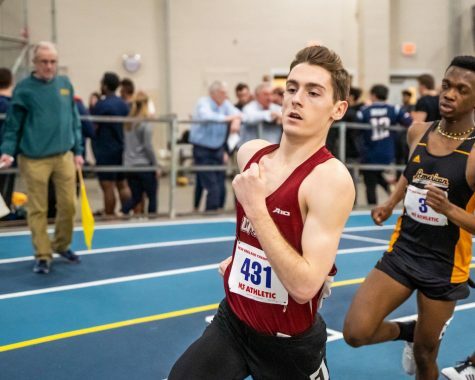 Stephen Bigelow placed second in the final, running 8.32, good enough to qualify for the New England Championship, while Evan Donadt and Conor Megee picked up fourth and fifth, respectively. Freshman Peter Farlow, running 8.87 in his debut race, found himself on the outside looking in, missing finals qualification by four one-hundredths of a second. Senior jumper Daniel Wu was the final qualifier for UMass. His 22-7.75 bettered the qualifying standard by three-and-a-half inches. The Minutemen ‘A’ 4×400 meter team sprinted to the win in the opening meet. The team, consisting of Aaron Araujo, Evan Donadt, Paul Grafov, and Chris Greene, ran in 3:27.55, besting Rhode Island’s ‘B’ team, which crossed the line in 3:29.16, over eight seconds in front of their own ‘A’ team. Sophomore Antony Taylor also had a notable season debut, racing to second place in the mile, in a career best time of 4:24.04, while fellow sophomore Thomas Mullen collected second in the 1000 meter running 2:33.33. 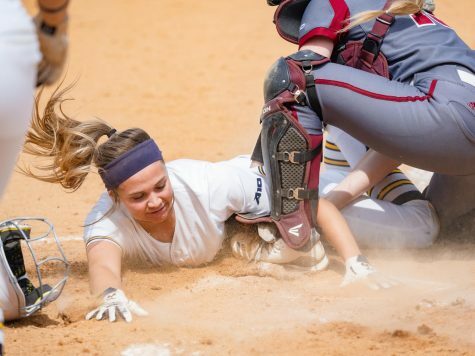 Like their male counterparts, the Minutewomen also took home four first-place finishers, and four New England qualifiers. 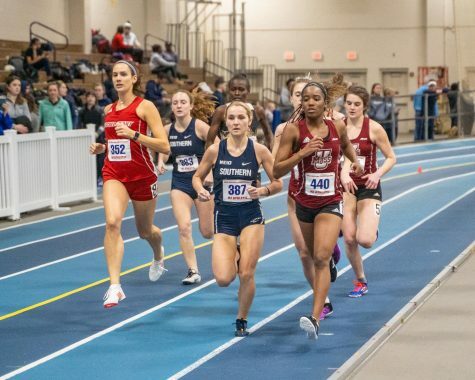 Senior Karen Roa, who led UMass’ cross country squad in all but one race, picked up first in the mile, qualifying her for the New England Championship. Finishing in 5:01.58, Roa bested her closest rival, Boston College’s Heather Garcia, by more than two seconds. 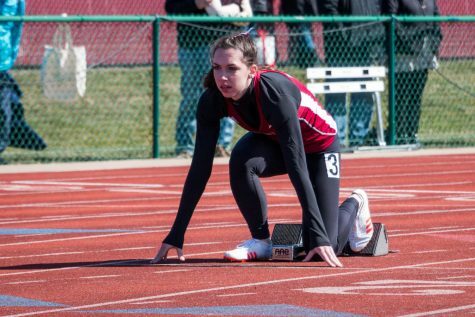 In the 800-meter race, senior Deanna Julian won in a closely contested race, posting a time of 2:17.79 to beat Eagles freshman Katherine O’Keefe, who was not too far behind, running 2:18.06. The Minutewomen also picked up first and second in the shot put to highlight an overall excellent performance in the field events. Junior Nalis Mbianda threw for 42-08.75, beating fellow junior Rachelle Bourque by six inches. Both throwers qualified for the championship. It wasn’t just in the shot put that UMass excelled. 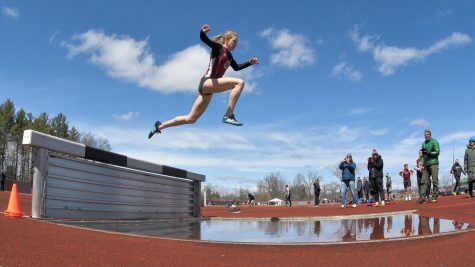 In the long jump, junior Katherine Finnegan finished first with her 17-00.5 leap, while UMass also occupied the third, fourth, and sixth places in the event. Freshmen Ashley Palmer and Rebecca Stoyle jumped 16-05.75, and 16-05.25, respectively, while freshman Jaclyn Lam recorded a 16-03.25 jump. In continuing the theme of success in field events, sophomore Lauren Kappleman picked up a second place finish in the triple jump, posting a 35-02.0. Junior high jumper Rebecca Banker also finished second, clearing 5-03.0. 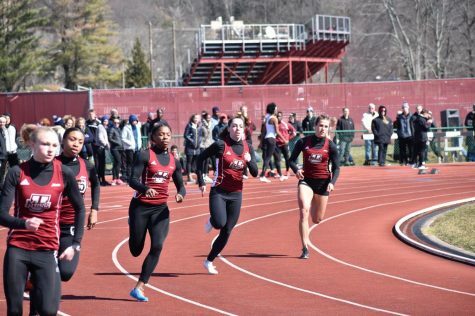 The Minutemen track and field team took 14th place out of 24 teams in Saturday’s Great Dane Invitiational. 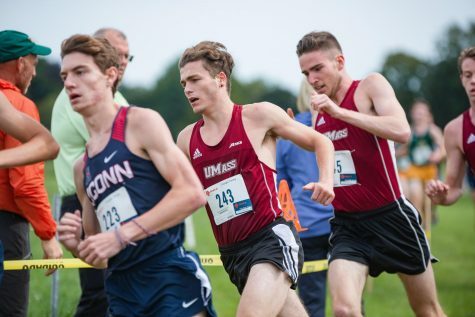 UMass tallied 18 points during the event, but couldn’t compete with Northeast rival UConn, who finished with 119 points and won the Invitational. Paul Grafov and Koncki were the stars for the Minutemen as each placed in third place for their respective events. Grafov, a 500-meter dash competitor, crossed the line with a time of 1:04.71 good for third. This performance was exceptional enough to qualify his for the New England and IC4A Championships. 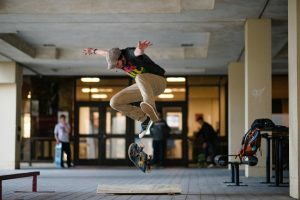 His time was also just 0:00.54 seconds shy of a UMass record. In the long jump, Koncki continued to succeed for the Minutemen, finishing third in the event with a 23-5.25 jump. This figure was just one inch shy of his personal career record. 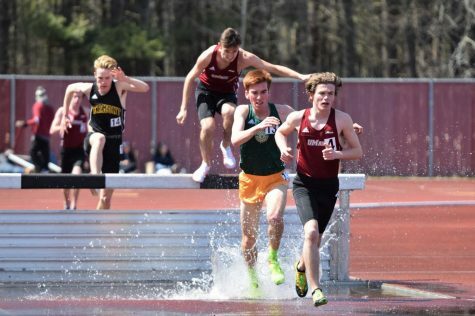 Grafov and Koncki were not alone as successful Minutemen at the Great Dane Invitational. Araujo, Michael Giardina, Grafov, and Mullen, the distance medley relay team, secured third place in the four-legged event. They clocked in at 10:15.27, and qualified themselves for the IC4A Championships. Now the team will hit the road on Jan. 27 for the Reebok Games held in Roxbury. 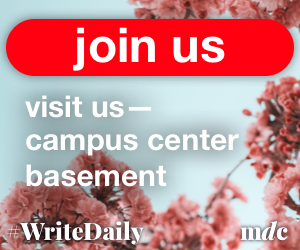 Jeffery Okerman can be reached at [email protected] and followed on Twitter @MDC_Okerman.